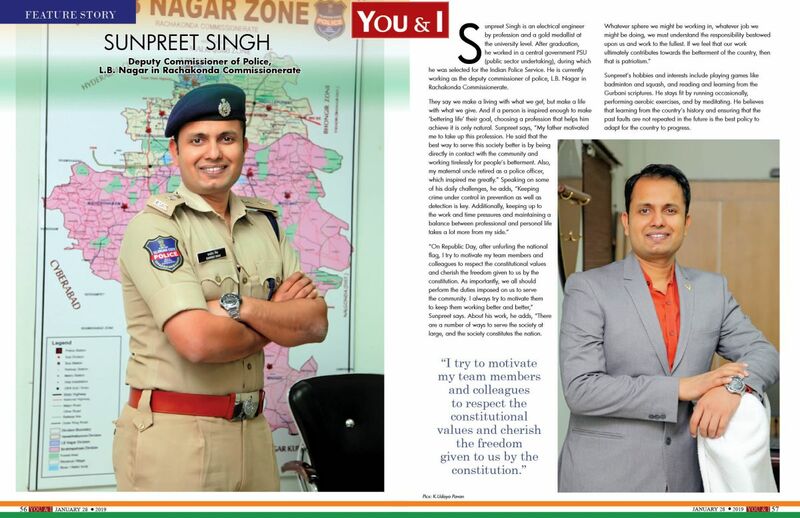 Sunpreet Singh is an electrical engineer by profession and a gold medallist at the university level. After graduation, he worked in a central government PSU (public sector undertaking), during which he was selected for the Indian Police Service. He is currently working as the deputy commissioner of police, L.B. Nagar in Rachakonda Commissionerate. Sunpreet’s hobbies and interests include playing games like badminton and squash, and reading and learning from the Gurbani scriptures. He stays fit by running occasionally, performing aerobic exercises, and by meditating. He believes that learning from the country’s history and ensuring that the past faults are not repeated in the future is the best policy to adapt for the country to progress.